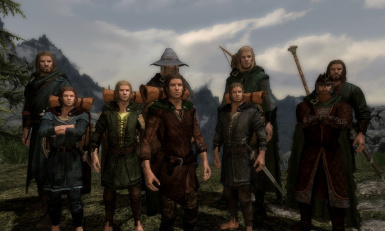 This mod adds the Fellowship of the Ring from the Lord of the Rings films as followers to Skyrim. 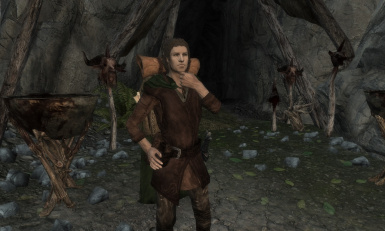 You'll find them around a campfire on the route to High Hrothgar ( just after where you first see that frost troll). 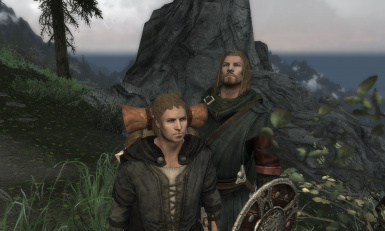 Ear models by nouserhere from Skyrim Nexus. 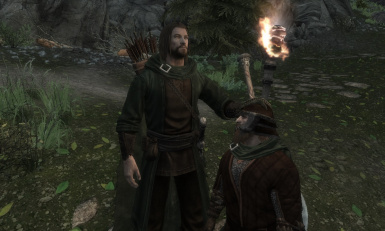 : http://www.nexusmods.com/skyrim/mods/20707/? Cloaks by Nikinoodles from Skyrim Nexus: http://www.nexusmods.com/skyrim/mods/12092/? Got rid of the old version altogether and re-uploaded it here. Be sure to let the data files finish updating when starting the game for the first time after downloading and make sure that the mod is active in your load order. 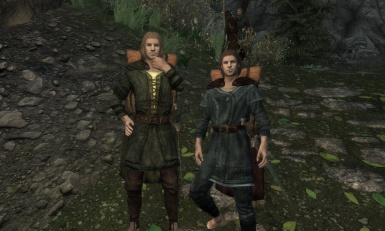 I wanted to make a complete fellowship mod that really made the characters look like they should. I hope you all enjoy. They all level with the player and are all essential. Voices are just standard vanilla voices. 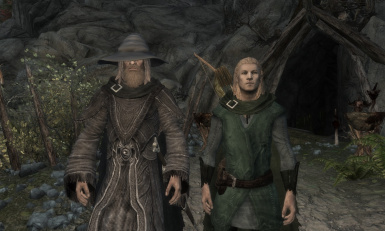 Unfortunately there isn't an old man voice that works for a follower so Gandalf just has a Nord voice. Credits: Ear models by nouserhere from Skyrim Nexus.